Three years. That’s how long The Preatures toured around their hit single ‘Is This How You Feel?’ and the subsequent album, Blue Planet Eyes. When the band finally returned home early last year, they were completely exhausted. But getting back to Sydney was also about The Preatures getting back to their roots. They holed up in their inner-city Sydney Hibernian House recording studio and set about writing material for a new album. The result is Girlhood, released last month. It’s an intensely personal collection of songs. Moffitt says after the roller-coaster ride of a seemingly never-ending touring cycle, getting back to basics simply felt “right”. But the extent to which the band would incorporate their hometown into their music would eventually break new ground for them, and at the same time help introduce a new audience to an Indigenous language. Forming in 2011 as a country-rock-soul quintet (the now-departed Gideon Bensen was the fifth member), The Preatures steadily built a large and loyal Australian following before taking a more mainstream pop approach with ‘Is This How You Feel?’ in 2013. Blue Planet Eyes was released the following year. 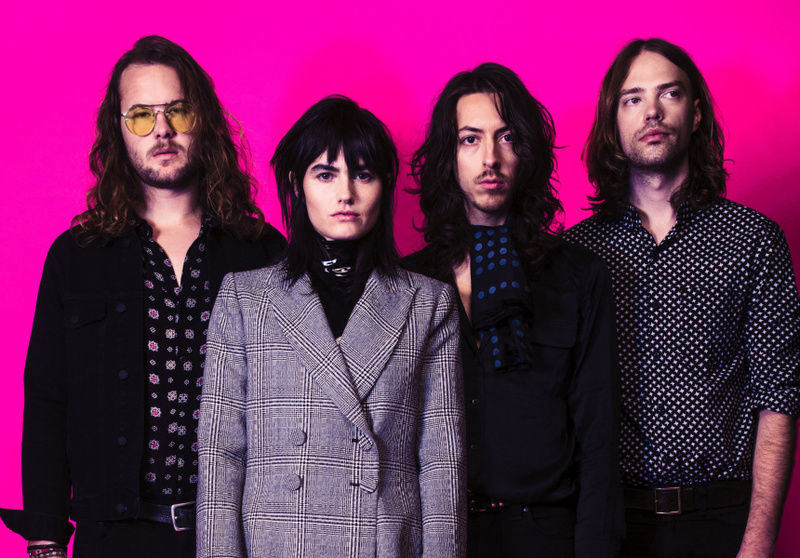 The single, the album and the subsequent time on the road turned The Preatures into proper internationalists with fans all across the world, but Moffitt reckons there will always be something intrinsically “Sydney” about the band. It was during this writing process that singer and co-songwriter Isabella Manfredi attended a production of The Secret River by Sydney Theatre Company. Based on a novel by Kate Grenville, it tells the story of first contact between European setters and the local Dharug people, who lived scattered around what is now much of modern Sydney. Inspired by the play and armed with a desire to include Indigenous language in a song, Manfredi and the band wrote the single Yanada. “It really moved her to hear that language,” Moffitt says. “I think it stirred in her a longing to find a connection to this place after so many years spent abroad, speaking or learning Italian and German. Then, coming home and hearing that language … she wanted to use [that] when we started writing for the album. Working out how to include Dharug in a pop song respectfully and appropriately took time, Moffitt says. Intertwining the Dharug and English languages in a modern-day track not only connected the band to their area’s history, but to a branch of Australian music stretching back to Yothu Yindi and Warumpi Band. The Preatures have an enormous presence in Australian music and Moffitt recognises the potential for the band to start a conversation about shared history and language. A new album of course means another round of touring. There have already been performances at the Enmore Theatre in Sydney and the Forum in Melbourne. Next up is a performance at the Spiegeltent for Brisbane Festival, followed by shows in Adelaide, Perth and a clutch of regional dates. Moffitt reckons they’re ready. Girlhood is out now on Mercury Records.